The candidates should have completed 15 years of age and should not have completed 24 years of age as on 01-07-2018. 1. Candidates are required to apply ONLINE by visiting www.rrccr.com Detailed instructions for filling up ONLINE applications will be available on the website 2. Candidates are required to log on to the RRC/CR website www.rrccr.com provided for filling ONLINE applications and fill up the personal details/BIODATA etc carefully. 3. NOTE-I: Candidates should be in possession of Aadhaar Card. At the time of registration, candidates have to fill 12 digit Aadhaar Card number. The candidates not having Aadhaar number and have enrolled for Aadhaar but have not received Aadhaar Card can enter 28 digit Aadhaar Enrolment ID printed on the Aadhaar Enrolment slip. 4. This provision is applicable to the candidates of all states and Union Territories except the state of Jammu and Kashmir, Meghalaya and Assam. Applicants from these states can enter in the online application form, their voter ID number, valid passport number, driving license number or any other valid Government identity card at the time of online application. Candidates have to produce original Aadhaar card or document mentioned above, at the time of document verification. 5. NOTE-II: Candidates should ensure their name, father’s name, date of birth should exactly match as recorded in Matriculation or equivalent certificate. Any deviation found during Document Verification will lead to cancellation of candidature and also debarment. 6. NOTE-III: Candidates are advised to indicate their active mobile number and valid e-mail ID in the ONLINE application and keep them active during the entire engagement process as all important messages will be sent by email/SMS which will be treated as deemed to have been read by the candidates. 7. Candidates have to choose only one cluster and within that cluster he can give units in order of preference. Candidates trying to submit more than one application with different particulars like Name/Father’s name/Community/Photo(face)/ educational and/or technical qualification etc. or with different Email ID/Mobile Number are informed that all such applications will be summarily rejected. 8. Candidates have to keep printouts of their Online application. If found eligible, he/she will be called for Document Verification and the print out of Online application is required to be produced at the time of Document Verification. 9. The ONLINE application, complete in all respect, can be submitted through ONLINE process to RRC up to 25/07/2018 till 17.00 hrs. No physical copy of the application is required to be sent to RRC. Even if it is received, no cognizance will be given to it. 1. The decision of the Railway administration in all matters relating to eligibility, acceptance or rejection of the applications and mode of selection shall be final. 2. Imparting Training in Railway will not confer any right to the candidates for their absorption in Railway after successful completion of training. In terms of para-10 of Schedule V of the Apprenticeship Rules,1991, notified on 15.07.92 by the Ministry of Labour, it shall not be obligatory on the part of the employer to offer any employment to the Apprentice on completion of period of his/her apprenticeship training in his / her establishment. It shall not be obligatory on the part of the apprentice to accept an employment under the employer. Imparting Training in Railway will not confer any right to the candidates for their absorption in Railway after completion of Training. No correspondences for engagement will be entertained. 3. CANVASSING IN ANY FORM WILL DISQUALIFY THE CANDIDATURE AND NO CORRESPONDENCE WILL BE ENTERTAINED IN THE MATTER. Before applying, the candidates should ensure that he/she fulfils the eligibility and other criteria. If erroneously engaged, such candidates shall be summarily dismissed without notice at any stage. 4. Candidature of the candidate shall be cancelled if he/she fails to produce the required original testimonials for verification or any other discrepancy noticed. 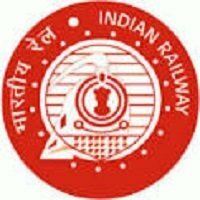 Railway Recruitment Cell Central Railway (RRCCR) recruits Apprentices posts. Candidates with ITI, 10th, ,can apply. Central Railway is one of the 16 zones of Indian Railways. Its headquarters is in Mumbai at Chhatrapati Shivaji Terminus. It has the distinction of operating first passenger railway line in India, which opened from Mumbai to Thane on 16 April 1853. Wadi Bunder, Mumbai – 400010. I am Neelu my qualification is 12th pass and have 3 years diploma architect also have 2 years architect experience. so where can i apply ? I AM LEARN B.Sc 1st YEAR IN SINDHU MAHAVIDYALAYA NAGPUR. CAN I ELIGIBLE FOR THIS POST ? My name is Furkan, I am doing Mechanical engineering Automobiles (2nd year). Where can I apply ?